Here we are at part two of making a giant paper flower backdrop like the one from the Secret Garden shower. Today it's all about the roses. You'll need the same materials as yesterday: the same roll of paper, scissors, and a glue gun. First, you need to make a cone for the center of the rose. Cut a rectangle of paper (top left image above). Roll it into a cone (image on the right above). I left a gap at the tip, because that looked like the center of a rose, and was easy. Tape or glue the cone shape in place. Then gently squish the cone flatish (bottom left image above--don't crease it, just squish it enough to trim both sides at once) and trim an arc on the bottom. You'll be left with a perfect cone. Or perfect enough. Remember from yesterday, this project is not about perfection. As long as the cone kind of sits reasonably on a flat surface, it'll be great. Next, cut the petals. You want shapes that are roughly teardrop shaped, and about the same height as the cone, or a little bit taller. Then simply glue the petals around the cone. Place three petals directly on the cone. Five petals on the next layer. Seven petals on the next layer (if you want a rose that big). 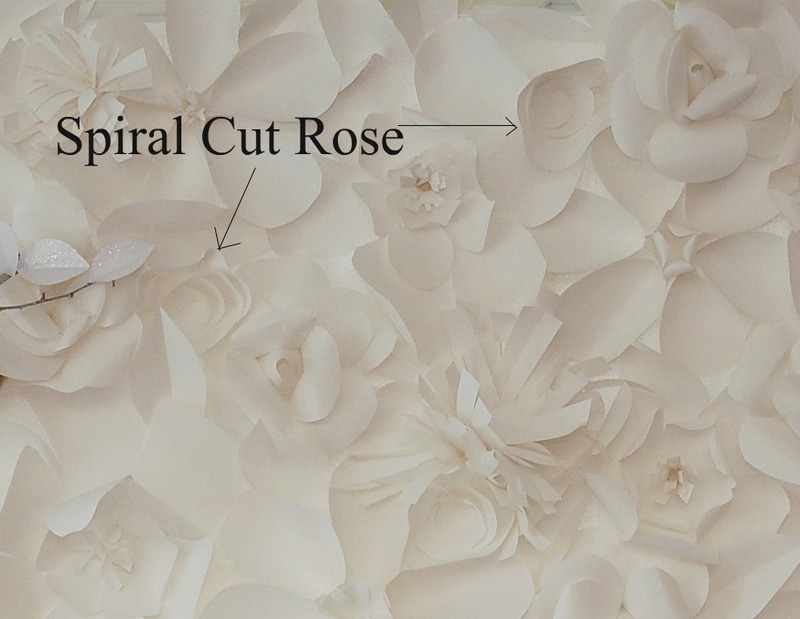 Once the petals are glued in place, you can gently curl the tops of the petals down, which makes the rose look even more fabulous. 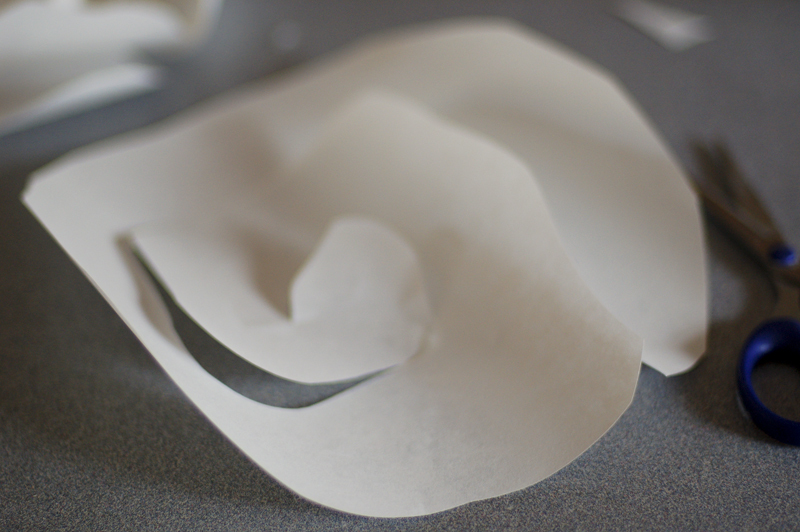 First, cut a circle of paper. Then cut it into a spiral. 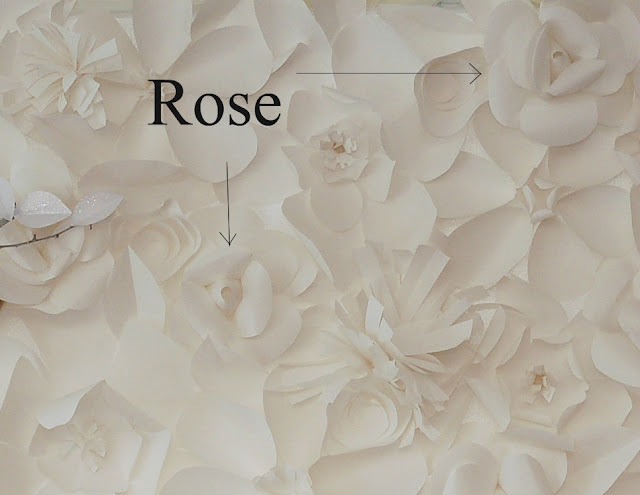 Be messy, be wobbly--that will make the petals have different lengths and give you extra texture. Then just start rolling up the flower, starting on the outside of the spiral. Once it's all rolled up, a dab of glue will stick it all together. Did that make sense? If not, watch this video I found. It's great. I want to mention one tip for making this project a lot faster: cut more than one item at a time. Cutting petals? 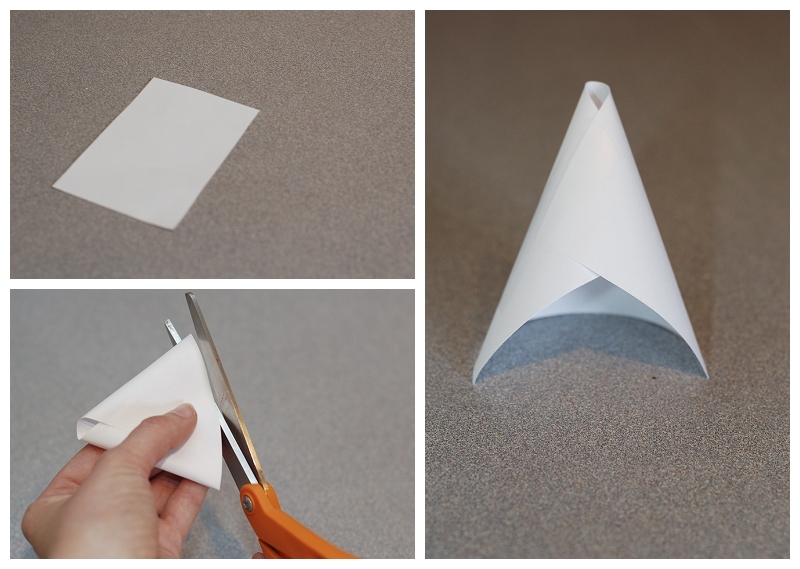 Cut strips of paper and cut four or five at a time. They'll all be exactly the same size, and you'll be done that much more quickly. I spent about four or five hours on this project all together, but it would have been far more tedious if I'd been cutting one element at a time. 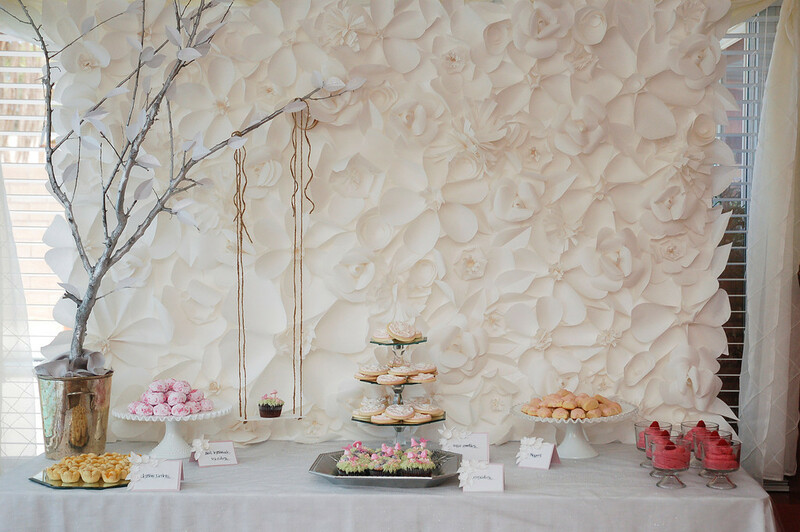 Tomorrow we'll learn how to make the last few elements of the paper flower backdrop, and will see how easy it is to put it all together. OMG!!!!!!!. yo he estado buscando esto hace tiempo!!!!!!!!!!!!!!!!!! !